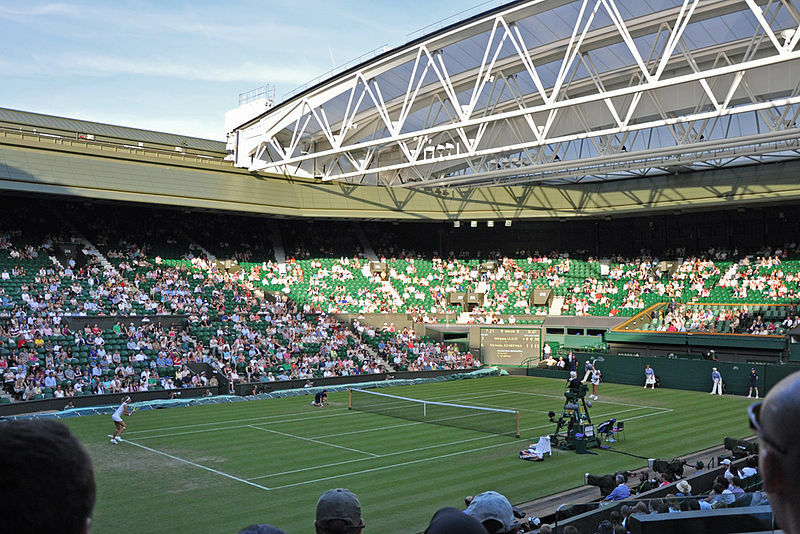 The tennis tournament at Wimbledon is the oldest and the most impressive of the four Grand Slam tournaments. It is the third during the year, after the Australian Open and Roland Garros and the first edition took place in 1877. 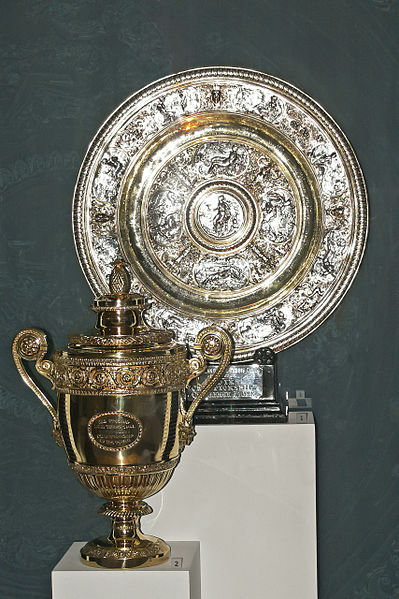 The champion in men’s singles tournament receives a silver cup with a height of about 47 inches and in the women’s competition, the winner receives a silver platter. Both of the trophies are usually offered by the Duke of Kent, the Club President. Cash prizes are awarded since 1968, when professional players were allowed to participate. By 2007, the prizes were higher in male than in the female competition, but in that year there were awarded the same prizes both for boys and girls. 1. Even though it is common for the royal family to watch the show from the stands, the Duke of York (later King George VI) participated in 1926 in the men’s doubles competition and lost. 2. The first Wimbledon Championship was organized to raise funds for cricket equipment, being a popular sport in the nineteenth century. 4. Until 1922, the champions automatically entered in the final. Between 1877 and 1921, the champion of the year was entitled to directly enter in the final. 5. During the Second World War, the tour was canceled and on October 11, 1940 the German bombs reached the venue, destroying 1.200 seats. In 1946, Wimbledon started again, and for reasons of economy after the war, the seats weren’t repaired until 1949. 6. The Williams sisters are not the only relatives who met in the final at the Wimbledon tournament. The Renshaw twins dominated the tournament in the early years, winning five finals at men’s doubles, and one of them has won 6 men’s singles finals, taking advantage of automatic entry into the finals. 7. It took 77 years for another British player to win Wimbledon after Fred Perry winning in 1936. The next one was Andy Murray winning in 2013, after he reached the final in 2012, but lost ahead of Roger Federer. 8. 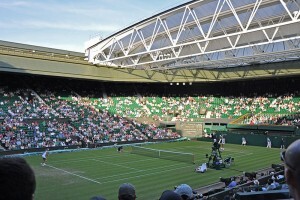 Wimbledon is the largest annual sporting event on the continent in terms of catering operations. The staff includes around 1,800 people. 9. An official has the single task of ensuring that the players are ready and enter the central arena at the right time, dressed according to the dress code (white colors). 10. The players’ waiting room is located just below the royal lodge. Above the entrance to the central court, where players walk into the arena, there is the inscription from Rudyard Kipling’s poem “If”: “If you can, meet up with triumph and disaster/ And treat these two impostors just the same”. 11. Cash prizes were introduced in the 1968 edition. Over the years, it increased approximately 850 times, totaling from 26,150 pounds to 22.56 million pounds in 2013, of which 1.6 million return to each singles champion. 12. 54.250 balls are the media used for The Championships. A Transfer from Luton Airport to Wimbledon with 247 Airport Transfer will cost around 64 GBP for a saloon car..